Looking to expand your lawn care business? Lawn care business software can increase efficiency and squeeze more jobs into every work day. In fact, there’s only one way to simultaneously streamline operations and reduce waste across all aspects of your business, and that way is through the adoption of the proper lawn care app. That way is through Smart Service. How exactly will Smart Service serve your lawn care company every step of the way? By joining with QuickBooks, of course! 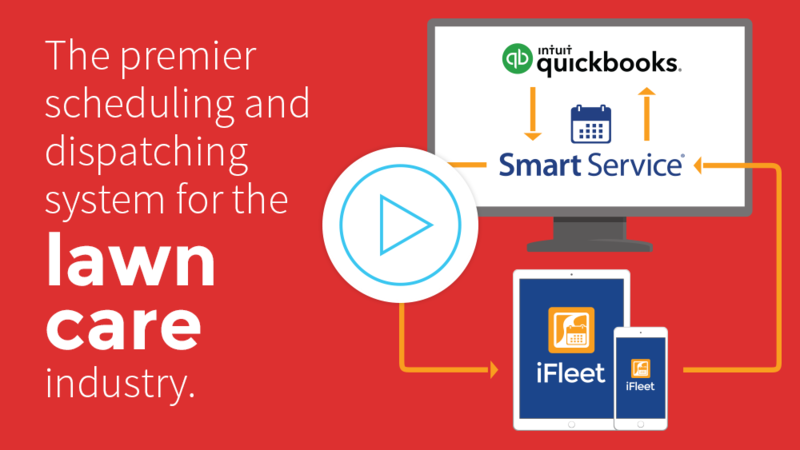 Smart Service links up with your QuickBooks database to let you schedule jobs for your existing customers. With our lawn care business app, work orders will automatically link to your billing system, eliminating all kinds of tedious data entry. Learn more. How much time do your employees spend typing in information for every job or visit made to a customer’s location? With your crews tackling so many yards every day, it behooves your lawn care company to reduce the administrative time per job as much as possible. That’s where Smart Service comes in. By automating paperwork with our lawn care business software, your business saves big on wasted time! Learn more. When they’re out in the field, your maintenance workers occasionally need a hand. Right now, when they run into trouble they’re calling into the office and lazing around until they get definite instructions regarding their next lawn care job. This waste costs money. With the mobile app iFleet, your crews can answer their own questions. With our lawn care business app, customer information and service histories can be easily accessed by your maintenance workers. This makes your teams greater assets to your lawn care company. Learn more. Smart Service was great for us because of our vast number of customers and the volume of services we offer. The world’s greatest lawn care business app, Smart Service gives lawn care businesses the means to integrate with QuickBooks, knocking dispatching, scheduling, and more out of the park. Put your lawn care business on top with these reads!